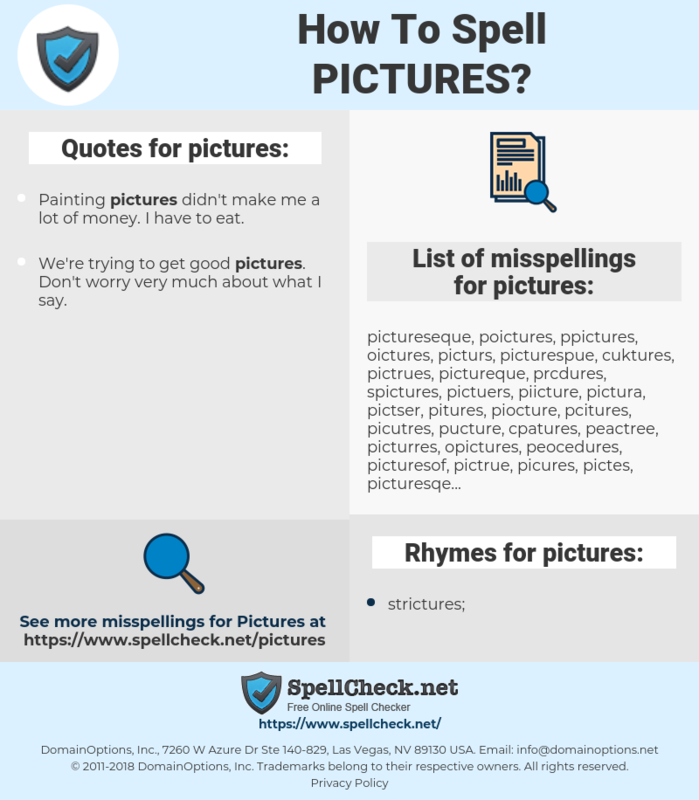 What are the misspellings for pictures? What are the common mistypes for pictures? What are the quotes for pictures? What are the rhymes for pictures? What are the translations for pictures? 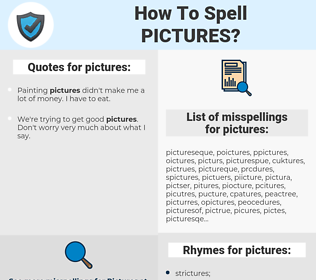 What are the common typos for pictures? This graph shows how "pictures" have occurred between 1800 and 2008 in a corpus of English books. I don't think that I'm over his influence but they probably don't look like Picassos; Picasso himself would probably have thrown up looking at my pictures. beelden, afbeeldingen, opnamen, illustraties, prenten, plaatjes.